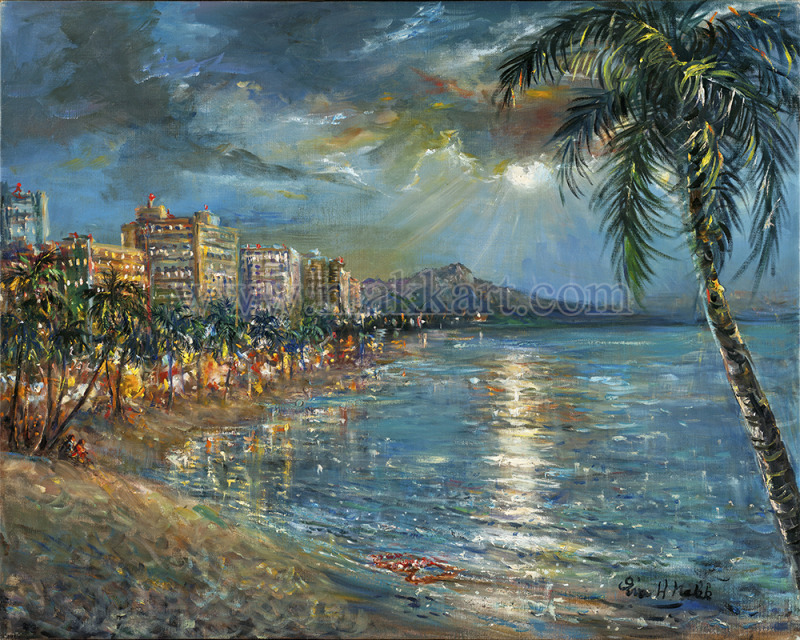 Waikiki Memories tugs at the heart with the moon and lights reflecting off of the ocean. A couple sits under a palm tree, reminiscing or just taking in the beauty before them. In the foreground two flower leis can be seen. In Hawaii there is a tradition where you throw a lei into the ocean – if it comes back, it is a sign that you will return to the islands. Aloha!